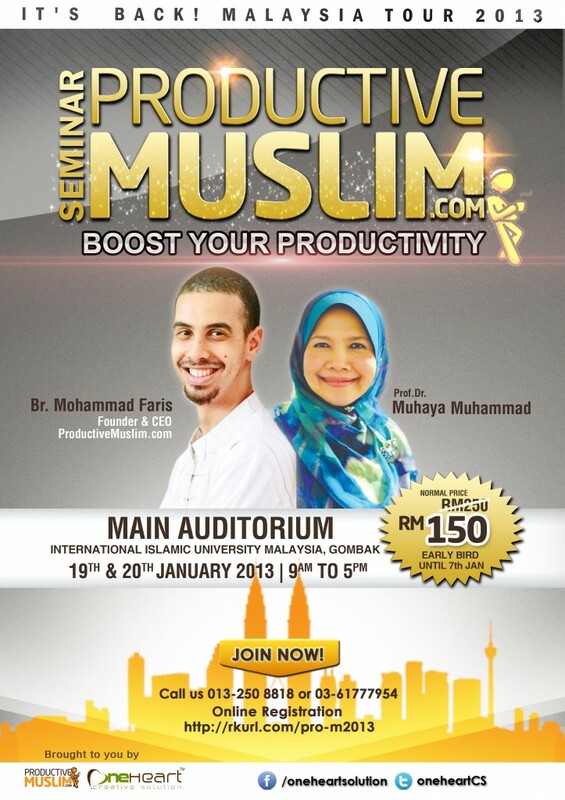 Productive Muslim is going to Malaysia! Join Abu Productive in a 2-day seminar and address all your productivity challenges! Great News! In response to your requests, the organizer (One Heart Creative Solutions Team) has extended the Early Bird Registration Period to the 7th of January! This is your chance. Register NOW!